Save $200 when you register with code MLI19SAVINGS by August 9! NAFCU’s 2019 Management and Leadership Institute, October 7-11, 2019 in San Antonio, Texas, will help you take your career to the next level. You'll come away with a full understanding of each credit union function, the confidence to innovate, and the leadership skills to impactfully inspire staff. You'll be trained by the industry's most successful CEOs and experts, and work in groups to apply your learnings to case studies. All in a more affordable, more convenient format than competing leadership programs. Located in one of Travel + Leisure’s Top 15 Cities in the U.S.! And we'll send your certificate of completion directly to your CEO, to ensure they're aware of your enhanced leadership skills and heightened knowledge of credit union management. Don’t just take our word for it; watch these 2018 attendees discuss the powerful takeaways they received! This was an outstanding, life-changing conference. Get your free eBook now! Full of highly powerful ideas, tools and techniques you can implement right away to have a dramatically positive impact on your business and career. 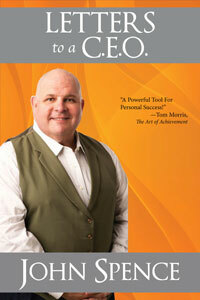 Written by three-time "Top 100 Thought Leader" John Spence.